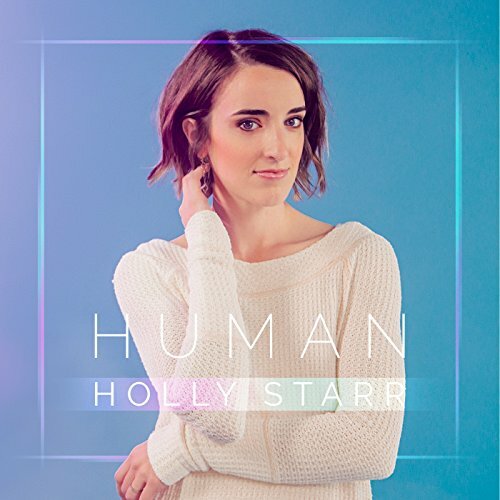 Possibly one of the most successful independent young artists I’ve seen, over the last few years with the releases of highly popular albums like Everything I Need (2015), Focus (2012) and Tapestry (2010), Holly Starr of Save the City Records is now continuing this run of lyrical proficiency and motive songwriting in her new project Human, that released in September 2017 through the funds raised via Kickstarter (and her second project under the independent label Artist Garden Entertainment). Being a mainstay in Christian festivals over the years, from CreationFest to Lifefest, as well as delivering singles like “Don’t Have Love” and “Father’s Eyes”, both of which have fallen inside the top 25 on radio; Holly’s presence in Christian radio and in Christian music overall is as much an asset at it is an honour for anyone hearing Holly’s powerful voice and maturity beyond her years. And with singles that arose from Everything I Need– ‘God Is’, ‘Never Going Back’ and ‘Through Me’, being some of my own very favourites of Holly’s ever, it’s only natural for me to become excited whenever this young and fast-popular artist reveals something new. Back in February she released ‘Run the Race’- which has been and probably will be the most pop song I’ve heard her record. An anthem that reminds us all to run the race of life to completion with Christ beside us cheering us on, Holly’s first new song since her 2015 EP Everything I Need is a different musical vein she has travelled upon, and while much of her die-hard fans could be indifferent about her shift from piano/reflective ballads (shown through much of Tapestry and Embraced) to more of a pop focus, Holly’s motivations and message has always stayed the same. But as Holly speaks for herself about the song- life was messy and difficult, and there were moments I didn’t think I could make it through. But God was asking me to endure, to press on amidst the pain. Through those moments I learned that no matter how difficult a situation might feel, we were made to persevere, “to run the race with endurance that was set before us.” (Hebrews 12:1), we are reminded of how much this song is needed in society right now (so much so that there is even a remix of ‘Run the Race’ on this EP, which I thoroughly enjoyed much more than the original recording)! ‘Bruises’ followed afterward and released in August, and though I initially thought that track could’ve been reflective like songs gone past (‘You Love Me Anyway’, ‘I Believe’ and ‘Grace For All’), I was in for a treat. ‘Bruises’, though as electronic and pop as it is, is a step into the unknown by Holly, who has in essence, to this point, thrived a lot on ballads and slower songs. While the odd few songs have been upbeat, most of Human, ‘Bruises’ and ‘Run the Race’ inclusive of that, has been more upbeat… and that is a good thing. ‘Bruises’ invites us to see the beauty inside the flawed, the wonder inside the mundane, and the exciting inside the flat and unimaginative. Because at the end of the day, each moment was created for us to enjoy and be excited about, even during the moments that can seem dull and uninteresting on the surface. We are much more than our pain, our hurt, our scars and bruises. We are treasured, loved, we are priceless and heirs to the throne of heaven. ‘Bruises’ allows us to delve into this fact, amidst all the electronic effects. And therefore, regardless of the tempo of ‘Bruises’, or any song in Human for that matter; Holly nevertheless still showcases a heart and hope that isn’t as expressed as freely as people would like within the CCM industry. Human released just last month, and songs like ‘Bruises’ and ‘Run the Race’ have been making us anticipate this EP. And now standing at 8 songs (2 of which are ‘Run the Race’ and ‘Bruises’, and another a remix of ‘Run the Race’), we are met with a collection of songs that are to be appreciated and enjoyed if you love similar artists like Bethany Dillon, Francesca Battistelli or Lindsay McCaul! The remaining 5 tracks on the album are as much unique as they are creative, encouraging, engaging and hopeful as Holly uses elements from all her own walks of life to deliver a collection of songs that can relate to a wide variety of people. ‘Umbrella’, track #3, features a steady piano riff coupled with a strong drum beat as Holly presents a quasi-love song that could be read as Holly singing to her husband or even Holly singing to her friends, family or even to God Himself. The ambiguity of such a song as this can be an asset but also a hindrance. It can bring in the people on the fringe who may not have heard Jesus before, but in being too ‘seeker sensitive’ as songs are created that have double or even triple meanings, we can read it as the artist is forgoing their own convictions for the sake of relevance. Yet we know Holly’s heart and passion for Jesus, and so a song like ‘Umbrella’ is just that, thanking the people around us for being the umbrella in our lives when we may or may not have asked them to. The title track ‘Human’ features up and coming DREAM Records artist Matthew Parker (who remixed ‘Run the Race’ at track #8), and presents the issue of the human condition, something that is rarely discussed in songs at the moment. It is the lyrical moments of the bridge and chorus that really hits hard, as Holly evokes to us, that ‘…what if mistakes aren’t such a bad thing? What if they make you who you are? What is a story with no struggle? You can’t see the stars without the dark, maybe we could never be perfect people and maybe that’s ok? …’, a reminder that it is often the struggles of daily life that can shape us and make us more resilient and appreciative of the good times, and that being human is listening to others and learning from our experiences. Kudos to Holly for presenting such a theme like this into a song. ‘Say Yes’ has the electronic influence of Matthew Parker all over it as the song is sung from both the perspective of us and of God, as the melody presents a message of surrendering all that we have to the Lord. That all we need to do is just say ‘yes’, to abandon whatever plan we have and lay our troubles at the feet of Jesus, and watch Him do extraordinary things with the little things we give Him. Though not necessarily that memorable musically, I’m sure if I hear the song again and again for the message, it’ll hopefully become catchier with every other listen. ‘You and I’ is a song sung to a friend or a person in pain, assuring them that whatever they undertake in life, they will do good because of the hope and faith that they exude (quite possibly the song is for someone in Holly’s life that she has drifted away from, for whatever reason); while the EP ends with ‘Sailing’, inspired by the recent death of her grandmother. The song is a moment of realisation and reflection, as we as listeners ponder our own relationships with our loved ones. It is a championing moment of life and all its facets and nuances, and is quite possibly the most personal song Holly has ever written to date! Holly’s new EP, as much as Focus and Everything I Need previously, is a breath of fresh air in a music industry still heavily focused on male singers and bands. Tackling heavy issues in a light-hearted and pop-infused manner, we are met with an album where such themes presented isn’t necessarily what we’d hear on the radio stations like K-Love or even Air1. ‘Bruises’ is definitely one of the most out-of-the-box and different song I’ve heard in a long time, while ‘Run the Race’ is an anthemic moment where we claim such a song in the moments when we need such a song as motivation to run our own personal races. The album reminds us all that God Himself can take all our bruises and scars, shaping and moulding them into something that can be used by us to bring others closer to Himself. A certain purchase if you love artists like Nichole Nordeman, Lindsay McCaul and Bethany Dillon, or if you enjoy music geared towards teenagers/young adults; Human is a must purchase and a standout album release in September 2017.